For many of us, January is time to make new year’s resolutions and try to change our lives for the better. For government, January is a time to spotlight its achievements and focus on goals for the rest of the year. The month is full of speeches – an Inaugural Address (in lieu of the State of the Union speech), State of the State speeches, State of the City speeches, and Opening Day Legislature speeches. 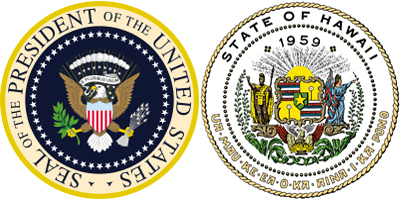 President Donald Trump gave his Inaugural Address on January 20, 2017, followed a few days later by Hawaii Governor David Ige’s State of the State Address on January 23, 2017. We can’t compare the speeches directly, because President Trump was just sworn into office and Governor Ige has been in office for two years, but we can get a sense of whether President Trump’s goals match Governor Ige’s objectives. And we can think about whether their plans for the future match our personal and career goals. On a personal note. President Trump did not tell individual stories about people facing adversity or overcoming challenges. His address was general, not personal, and it set up a conflict between “us” and entrenched government. There was no insight into President Trump’s history, role models, or inspiration. In contrast, Governor Ige began his speech by invoking Pearl Harbor and briefly mentioning his father. He talked about an Early College high school “Olympian” Rovy Dipaysa, a local start-up Shaka Tea, college students on the Hawaii Advanced Technology Society Team, and a friend who worked at the pineapple cannery. National problems and solutions. President Trump highlighted some of our country’s problems: poverty, unemployment, poor schools, crime. His overarching solution: “America First,” which involves reducing our support of foreign governments and industry (without acknowledging the interconnectedness of our global economy and security) and protectionism – protecting American industries from foreign competition (without acknowledging that this could have an adverse impact on American exports). He stated, “We do not seek to impose our way of life on anyone, but rather to let it shine as an example for everyone to follow.” He wants America to be an example of democracy and capitalism, instead of a promoter or global enforcer. 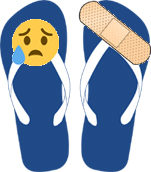 Hawaii problems and solutions. In a few sentences, Governor Ige offered a concise list of accomplishments: low unemployment (without acknowledging that many families live paycheck-to-paycheck), moderate personal income (without acknowledging the high cost of living in Hawaii), jobs creation (without acknowledging that many of the jobs are low-wage jobs), and sound tourism (without questioning our reliance on tourism). His solutions involve transforming schools with school-level innovations, capital improvements, the Early College Program, and the Hawaii Promise Program to pay for community college; transforming the economy with support for the Cancer Center of Hawaii and the HI Growth program to foster entrepreneurship; and supporting clean energy with the Clean Energy Mandate and the Drive Electric Hawaii initiative. He also wants to protect agriculture and natural resources with the Sustainable Hawaii Initiative; and provide more affordable homes through funding for the Dwelling Unit Revolving Fund and affordable rentals and subsidies. Generation Nation has a great “K-12 Civic Learning Opportunity: State of the Union” lesson plan. It’s a guide to thinking critically, as well as emotionally, about a speech’s content and delivery – and how it is reported in the media. Do you agree with President Trump’s and Governor Ige’s priorities and strategies? If you had to write a State of the Household Address for your family, what would you write about? A few weeks ago, Hawaii homeowners received their 2017 property tax assessments. It was not a pleasant way to end the holidays or start the new year. I understand why there are property taxes. Government needs tax revenue to pay for city services such as roads, trash pickup, and utilities, and it can’t pay for those services through excise taxes and user fees alone. With land in Hawaii valued at over $335 billion, the Hawaii collected $1.7 billion through property taxes in fiscal year 2016-2017 alone, according to the Real Property Assessment Division. What I don’t understand is why property taxes need to be so taxing or – or so arbitrary. We have a property tax system that is based on the property values (sales) of our neighbors. It’s based on what other people buy, and that is neither fair nor reasonable. Arrange monthly tax payments. Instead of two hefty tax payments in February and August, Hawaii counties could allow homeowners to make monthly property tax payments. This would let homeowners spread out the payments over 12 months (as many homeowners already do by combining property taxes with their mortgages), and give county governments a steady stream of tax revenue. To reduce billing costs, government could offer this option only for automatic payments from a bank account or credit card. Create a flat property tax fee based on lot type and building square footage. Instead of basing property taxes on property valuation (and sometimes “speculation”), we could create flat property taxes based on lot type (residential, commercial, industrial, hotel, agricultural, conservation, and unimproved) and building square footage. With a flat property tax, anyone could calculate and budget for their taxes once the property tax rates are announced. There would be no valuations, no need for an appeals process, and no worries if a neighboring property is sold for an inflated price. Require reasonable limits on property taxes. Instead of property values and tax rates rising without constraints, require reasonable limits to tax increases. For example, county governments could limit increases to the rate of inflation each year or to a dollar amount, such as 35 cents per year. This would allow property owners to more easily budget tax increases and require government to operate within a budget, instead of arbitrarily raising taxes to meet increased spending. How do you think we can make property taxes affordable while still providing basic city services? If you are a homeowner or landlord, how affordable are your property taxes? One year for the Honolulu District Speech Festival, my then 9-year old son chose to recite part of Martin Luther King Jr.’s 1963 “I Have a Dream” speech. My son didn’t know what “interposition” meant, so I asked him to look it up. We both learned that “interposition” is the doctrine that an individual state of the United States may oppose any federal action it believes encroaches on its sovereignty, according to Dictionary.com. 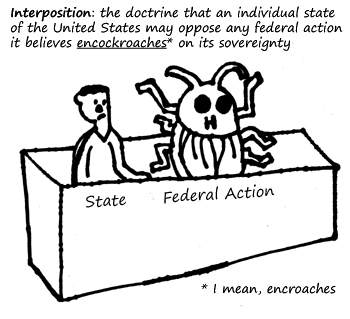 Reading it aloud, my son stumbled over the word “encroaches” and read it as “encockroaches” on its sovereignty.” I immediately had an image of lawmakers at a table facing off against a giant cockroach. It was funny and a little horrifying, so I asked my son to draw a picture of it. “Encockroaches” could be a real word. It conjures up a place – or a government – overrun with cockroaches. Maybe the cockroaches are bureaucracy or overspending or even political correctness. Hawaii may not have the history of slavery that parts of the United States does, but Hawaii has lived through internment. We have all faced prejudice at times or struggle with stereotypes. We all have to clean our houses to get rid of cockroaches. And none of us are immune to the threat of government over-reach. Do you think that the United States has the right balance of federal power and state sovereignty? What about the balance between state sovereignty and individual rights? It seems that there are no cost-savings to being healthy anymore. Last year, we received a health insurance packet with our 2017 monthly premium. It jumped 19% — over $100 per month for our family of three. Blue, blue, health care blues, yeah! 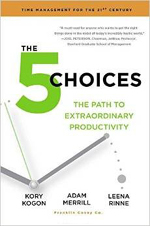 This is the foundation of “The 5 Choices: The Path to Extraordinary Productivity” (2015), written by three executives at Franklin Covey: Kory Kogon, Global Practice Leader for Productivity; Adam Merrill, Vice President of Innovations; and Leena Rinne, Senior Consultant for productivity and leadership development. The book is a practical and helpful guide to planning and organizing your day. The authors first identify three critical challenges in our lives: 1) We are making more decisions than ever. 2) Our attention is under unprecedented attack. And 3) We are suffering from a personal energy crisis. Then the authors discuss the 5 choices that can increase our capability in decision management, attention management, and energy management. Some of the principles and anecdotes are influenced by Japanese martial arts and stories. Some of the organization tips feel targeted more to employees and managers of large corporations, who have access to more technology resources. But all of it can be scaled up or down for any business. Each chapter concludes with “To Sum Up” summaries, with a special section about being a Q2 leader, and a handy appendix with the Top 25 Email Protocols and Key Models. Act on the Important, Don’t React to the Urgent. Important activities, like planning, creative thinking, and relationship building let you take charge of your life and do things that make a difference. Use the Time Matrix to divide your activities and tasks into four quadrants: Q1 Necessary, Q2 Extraordinary Productivity, Q3 Distraction, and Q4 Waste. Before making decisions, Pause-Clarify-Decide whether something is important. Go for Extraordinary, Don’t Settle for Ordinary. Extraordinary is feeling satisfied and accomplished. Use a Life Wheel to identify the most important roles in your life (parent, spouse, manager, volunteer), and evaluate how you are doing in each (underperforming, ordinary, or extraordinary). Write role statements for each role, articulating what you will do and how you will achieve it. Set goals to focus your attention and energy. Schedule the Big Rocks, Don’t Sort Gravel. Let go of a lot of the little things and focus on the important things. Create a Master Task List of Q1s and Q2s. Commit to spending 30 minutes each week and 10 minutes each day on Q2 Planning. Review your roles and goals, and schedule a specific tune and place to do Q2 Planning. At the end of the day, “Close out the Day” by reviewing what you have accomplished, identify the few “must-dos” for tomorrow, and organize the rest. Rule Your Technology, Don’t Let it Rule You. Technology is not the problem; it is how conscious and deliberate we are in using it! Sort everything into Appointments, Tasks, Contacts, and Notes/Documents. Keep everything in one place in each category, either digitally or on paper, so that you don’t miss anything or waste time with duplicate effort. When you receive a document or request, act on it, file it, or dismiss it. Fuel Your Fire, Don’t Burn Out. Take care of your brain and body. Follow the 5 Energy Drivers: Move, Eat Healthy, Get Enough Sleep, Relax, and Connect with People. “Extraordinary productivity is a question of being conscious in the moment” rather than reacting to the most recent crisis. Do you feel as if you don’t have enough time to do everything you need to do? How do you balance work and personal life? New year’s resolutions – resolved! I love the idea of New Year’s Resolutions. It’s about a new year, a fresh start, and trying to improve your life. But in practice, my resolutions rarely last long under the pressure of big changes and high expectations. Instead of making resolutions this year, let’s reflect on some of the positive changes we’ve made in our lives. The best advice I know about making resolutions is that your goals should be Specific, Achievable, and Measurable (SAM). But sometimes resolutions work best when you trick yourself into it, when you don’t make a big deal about it – you just start doing it. When we’re setting goals, it helps to remember our successes. My most successful “resolutions” were not made at the start of a new year. I didn’t write them down or tell people about them, which are two really effective ways to change your habits. They involved small choices and humble goals. Here are three quiet resolutions that had positive impacts on my life. Nail-biting — resolved. I used to bite my fingernails when I was a kid. I knew it was a bad habit, and I didn’t like it. Not only that, it gives other people a bad impression about you. So I started painting my nails with clear nail polish, because nail polish tastes bad and no one should eat it. And it worked. Beyond just stopping one bad habit, it gave me the confidence to tackle other bad habits as well. Self-depreciation – resolved (mostly). I have a hard time accepting compliments. I used to down-play compliments and even point out flaws or mistakes. But after I joined a pottery club, I noticed that when I admired someone’s art, they would simply respond, “Thank you.” I decided that I needed to change how I respond to compliments too. I am re-learning how to say “Thank you.” I still have a hard time accepting praise, but I think I’m a little more gracious about accepting them. Speeding – resolved. I was mortified and chagrined when I got a speeding ticket one year. That ticket made me change the way I drive. I learned to slow down. I started to leave a big enough gap between the car in front of me that I can let other drivers into the lane. Driving has become less stressful, even when I am stuck in traffic. I wish I could thank that police officer, but I’d probably be too embarrassed. Do you make and keep New Year’s Resolutions? What resolutions or positive changes have you made in your life? You are currently browsing the Better Hawaii weblog archives for January 2017.